East Fork Cottage is fully immersed in the farm surrounded on three sides with pasture and the sheep are frequently munching grass right at the fence line. Enjoy the star gazing from the cedar soaking tub or enjoy a fire on the patio while watching the lambs bounce in the pasture. 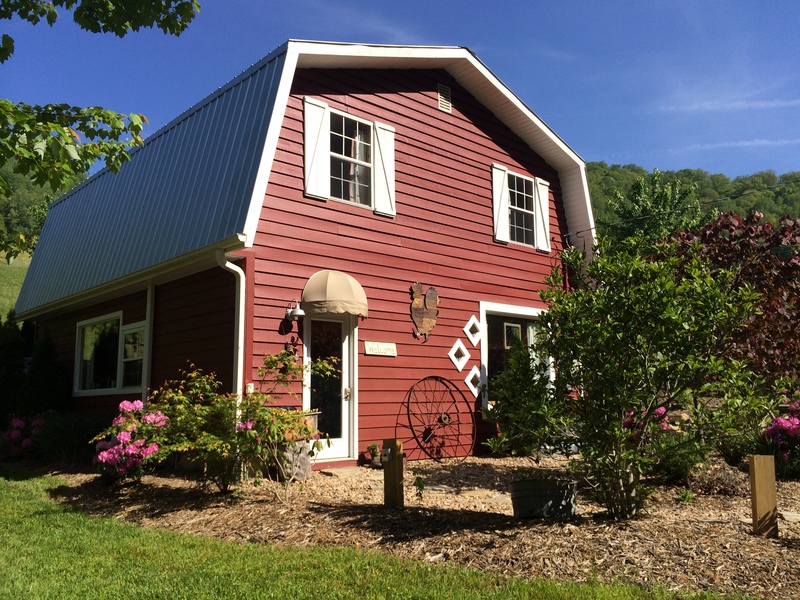 The cottage was originally built as a utility barn where Dawn made hand-dipped candles. There were two sheds attached to the barn, one for the parking the tractor and the other as a place for the sheep to get out of the weather. 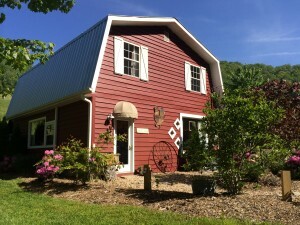 In 2000 the barn was refurbished and made into a full-time rental until 2009. We enjoyed having the same renters for that entire time. When they left, we were unable to find a suitable renter and so the house sat vacant for a year. During the winter of 2010, we decided to take the plunge and totally refurbish the house into a farm cottage. Starting with the exterior, we added gardens and berms surrounding the entire house with large trees planted strategically for privacy. We excavated a large patio area on the east side of the cottage that is perfect for picnic lunches, a nighttime fire and also includes a gas grill. The lighted pathway from the patio to the backyard leads to a cedar soaking tub set at a perfect 100 degrees. The interior of the house boasts of several farm paintings, pottery face jugs and farm relics such as wooden hay rakes, old saws and an antique wooden farm ladder that was used in our barn. The wall in the downstairs living room is chair railed with tin roofing for a dynamic affect. This is a perfect match for the stainless countertops that are throughout the kitchen. While seated at the bar enjoy the whimsical designs of the cork board wall with tile interlay. The wooden stairway leads upstairs to an inviting sitting area lined with farm relics and paintings. The beautiful bedroom is comfortably furnished with antiques and farm decorations. Enjoy all the comforts of home while taking in the peacefulness and beauty of a natural farm cottage.